New Zealand Dollar continues forming wave (3). I’ve already moved the stop on sell order opened yesterday into the black. In the near term, we can expect the pair to continue falling down. 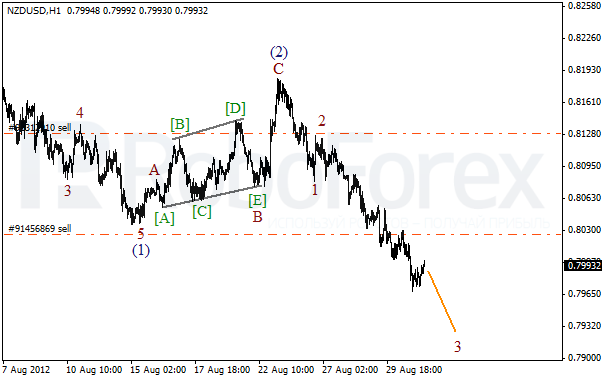 The short‑term target for the bears is at the level of 0.7800. 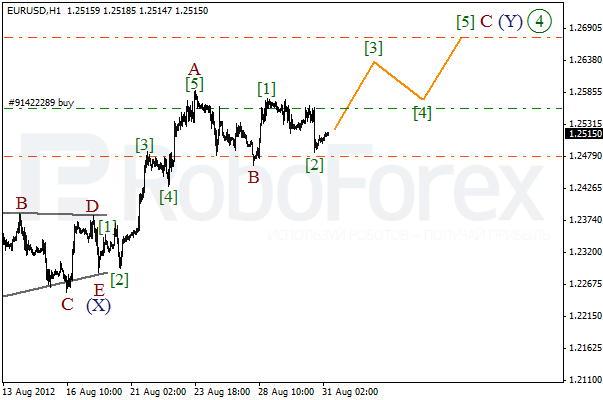 As we can see at the H1 chart, the price is moving downwards and forming wave 3. Earlier wave (2) was finished in the form of zigzag pattern. During Friday we can expect the price to continue falling down and break the local minimum. 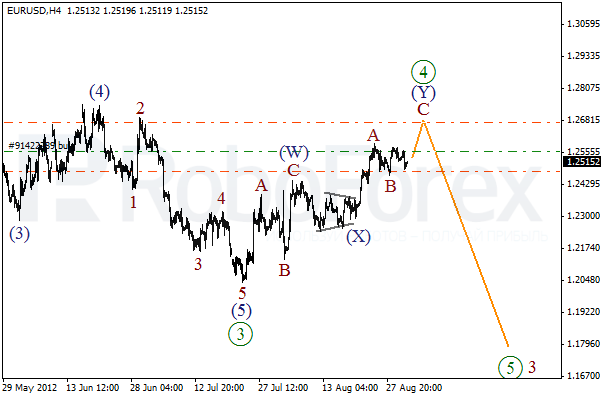 At the H4 chart the price continues forming double zigzag pattern inside wave . On the minor wave level Euro is forming wave C. There is a possibility that in the nearest future the price may grow up and break the local maximum. 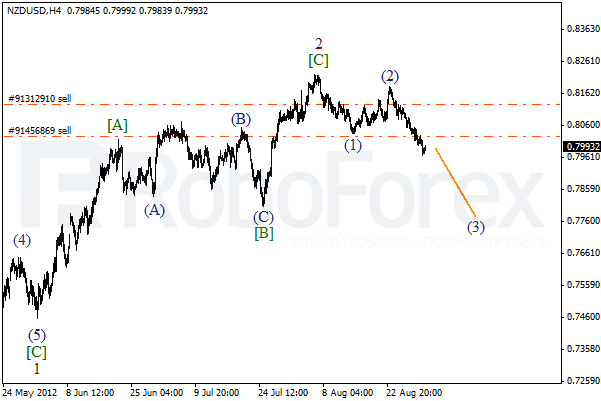 As we can see at the H1 chart, Euro has finished wave . We can expect the price to start moving upwards inside wave  of C during the day. The market may reach the level of 1.2650 within the next several days, but later Euro will most probably make a reverse in a downward direction.